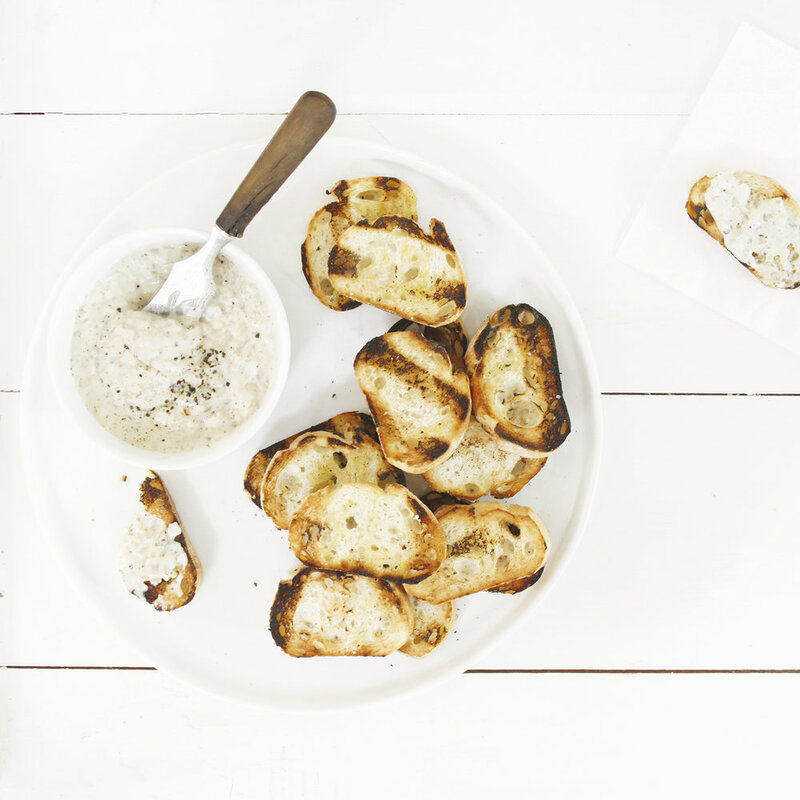 Hints of charred flavor amp up a traditional onion dip, served with grilled bread for dipping. Heat grill to medium heat. Brush both sides of onion and bread slices with oil and season with salt and pepper. Place onions on grill and cook until charred, about 5 minutes. Turn onions and cook on other side, another 5 minutes. Remove from grill and allow to cool. Place bread slices on grill and cook until lightly charred, turning once, about 5 minutes. Remove from grill and allow to cool. Once cooled, place onions in a food processor and pulse until almost smooth (you want a bit of texture but no big chunks of onions). Transfer to a medium bowl and add mayonnaise, sour cream, 1 tablespoon vinegar, and bitters. Season with salt and pepper. Taste for flavor and adjust as desired. Cover with plastic wrap and chill until ready to serve.